May is here! 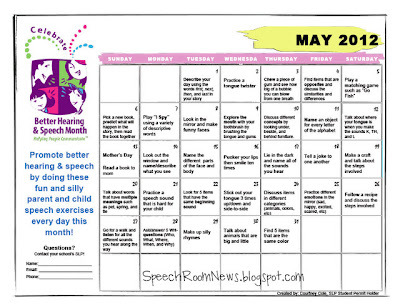 What do you have planned for Better Speech & Hearing Month? I have been so overwhelmed I haven’t had too much time to plan anything! 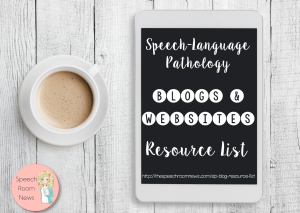 I’m sticking with little smarty candies added to these handouts with a little note: “Be a Smarty – Protect your Voice!” Check out these free handouts from Courtney and Jenna (both graduate students!) First up – a calendar from Courtney: This year, I wanted to try to get everyone in the school involved in Better Hearing and Speech month. I created a calendar with activities that address many areas we target in our therapy. These activities are quick and easy for parents and their children to do every day during the month of May to promote better hearing and speech! (Don’t worry, the SRN address isn’t blasted across your download! It’s just on there in case it gets lost without a link back here on pinterest!) Courtney Cole is an SLP Student Permit Holder. 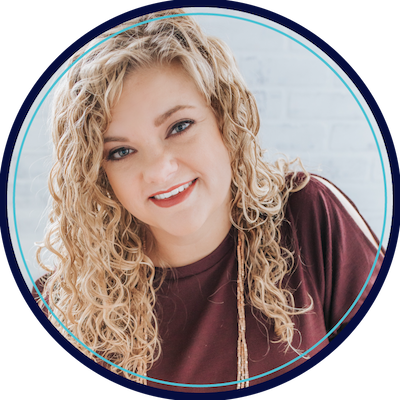 She is an OMNIE student in the Speech-Language Pathology graduate program at Ohio University, who works primarily with elementary students in kindergarten through 5thgrade. Next check out this handout from Jenna! 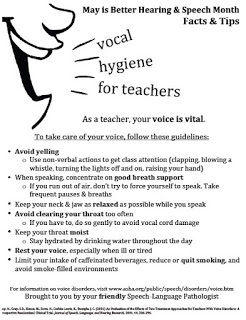 This handout was created by Jenna Williams, a graduate student in CSD at Chapman University in Orange, CA. Thank you for these awesome handouts! 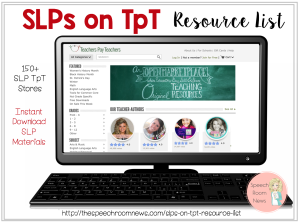 I was so surprised to see a handout by Jenna Williams! I finished at Chapman in July 2012! Go Chapman Speechies! !